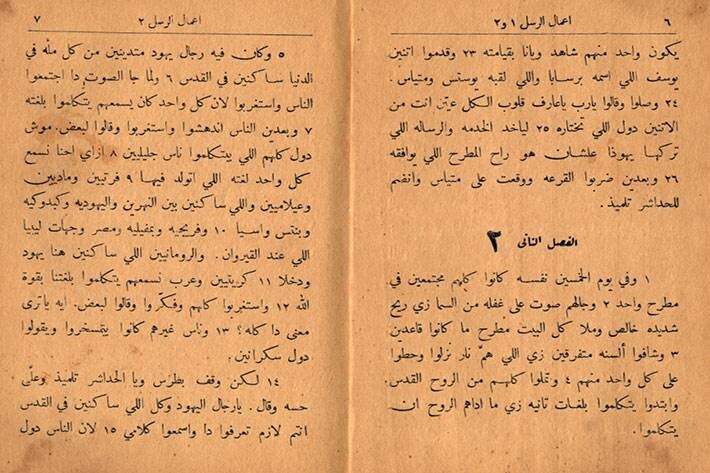 In an interview published in 1927 in the Cairo-based monthly al-Hilāl, Egyptian intellectual and reformist Salama Musa (1887-1958) asked a retired British civil engineer, among other things, about what made him happy at the end of his career. 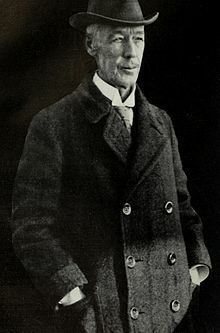 The then 74-year old Sir William Willcocks (1852-1932) replied: “obeying God and fulfilling Christ’s purpose by serving people… and by printing the gospel in the colloquial so that the common people would have access to Christ’s words and sermons. In this I find more happiness than I used to find in engineering” (Musa 1927:1165). Based on available biographical information, it seems that Willcocks’ fame as a successful irrigation engineer, completing such projects as Aswan Dam, among others in Egypt and other countries, was as equal as his reputation for involvement in missionary activities. In one of its weekly editions in 1928, the Egyptian newspaper al-Siyāsa dedicated a whole page to Willcocks. This newspaper usually caricatured an Egyptian statesman every week, but in that particular weekly issue they “poked dry humour at Willcocks, even sketching him on the front page with an open Bible, and dressed in parson’s clothes with a dog-collar.” (Upson 1928: 82). 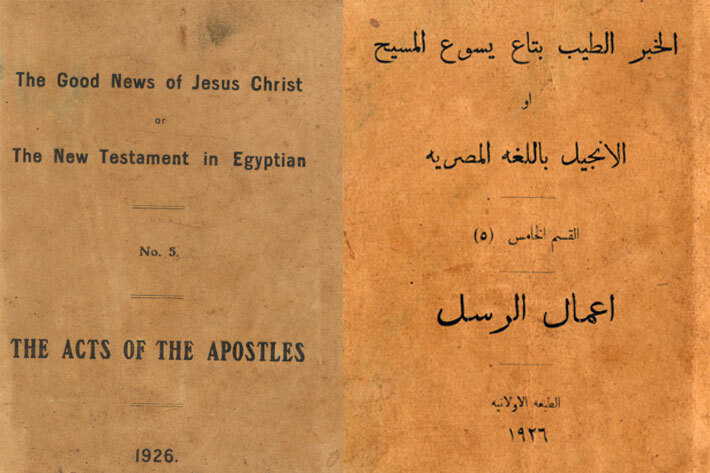 At the centre of his interest in Christian mission was his passion for translating the New Testament into Egyptian Colloquial Arabic. While al-Khabar al-Ṭayyib uses طيرو من الفرح (ṭīrū minil faraḥ), literally meaning ‘you fly out of joy’, Bustānī-Van Dyck uses the classical, almost archaic imperative تهللوا (tahallalū). Although the latter translation communicates a higher degree of rejoicing, it is very formal, not commonly used in Arabic and, more importantly, falls short of communicating the powerful image of the Greek word which literally means ‘jump for joy’. 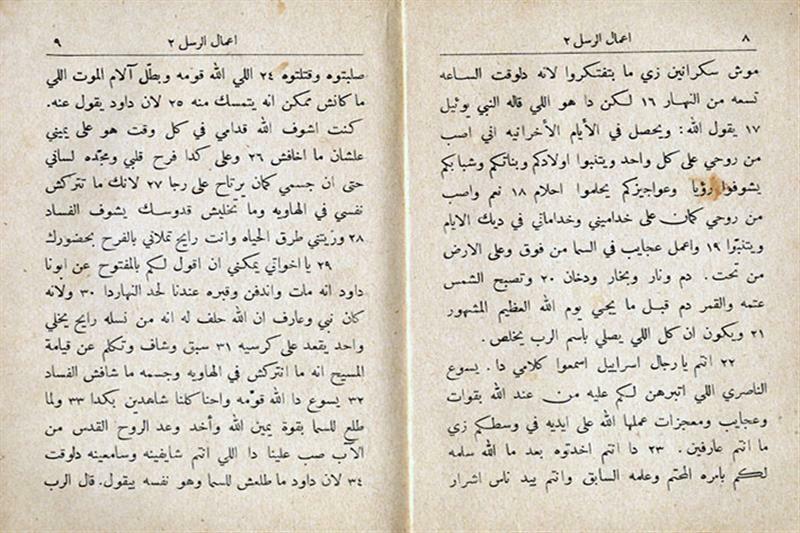 This example demonstrates, not only the exegetical endeavour made by Willcocks and Bakhīt to grasp the meaning of the Greek text, but their keen interest in reproducing in Arabic what many scholars describe as the ‘incarnational’ nature of the Bible. Director of the Arabic, Islamic and Middle Eastern Studies at the University of Leeds, UK; co-director of the Centre for World Literatures and lecturer in Arabic Literature and Translation. His research interests include sociology of translation, Shakespeare in Arab culture and translating sacred texts on which he published numerous articles in peer-reviewed journals and chapters in edited volumes. His book, Bourdieu in Translation Studies: the Socio-cultural Dynamics of Shakespeare Translation in Egypt was published with Routledge in 2016. This is an extracted version of an article that will be soon published in a special issue of the journal Religion entitled Translation and Religion: Crafting Regimes of Identity. A similar line of argument was given by Mustapha Safouan (1998) in the introduction he wrote to his published translation of Othello into Egyptian colloquial Arabic. For a detailed study of the history of the debate on the use of fuṣḥa and ʿāmmiyya in writing, see Hanna (2009).